Two bedroom independent chalets are rarer than Marmottes in December, especially in the popular resort of Meribel. Renovated in the summer of 2017, Chalet Yukon provides rather unique accommodation for just four people with your own private hot tub and dedicated chalet host. This wonderful little chalet is a delightful hideaway for a small group of friends and offers a great deal of privacy. A freestanding chalet over two floors, the open plan living/dining space with log stove is perfect for four, and the patio doors open out onto your own balcony with an extraordinary and uninterrupted Alpine panorama. The décor is smart and contemporary, with wall mounted TVs in the bedrooms and some decent sounds in the living room. The bedrooms in Chalet Yukon are located on the lower floor. There is one double bedroom with an en suite shower, separate wc and secluded terrace with amazing views and direct access to the hot tub, plus a twin bedroom with en suite bathroom. Please note that photos shown are from other properties in our collection and are intended to reflect the intended style of construction and interior design. Actual images will be available from December 2017. Less than 5 minutes stroll (350m to be exact) from the Tourist Office and centre of Meribel. 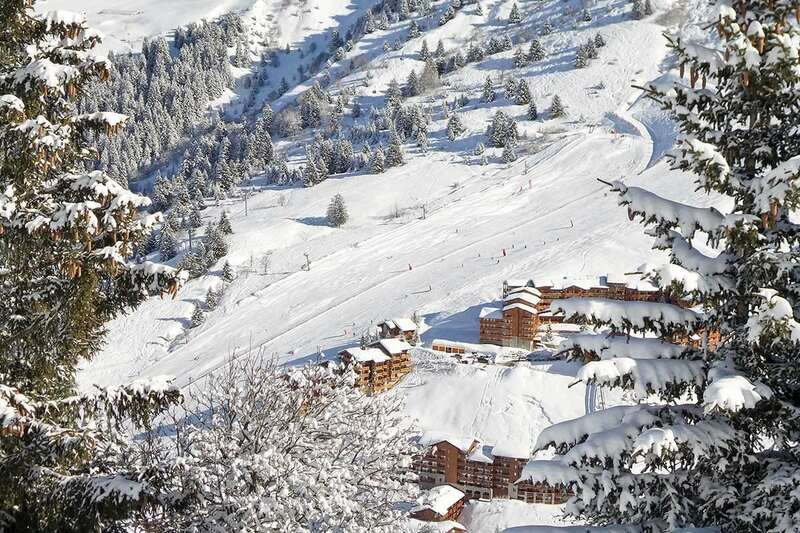 The pistes at La Chaudanne are two minutes away by our Merishuttle chauffeur service. Double with en suite shower, separate WC and terrace. Twin with en suite bath, hand basin and WC.